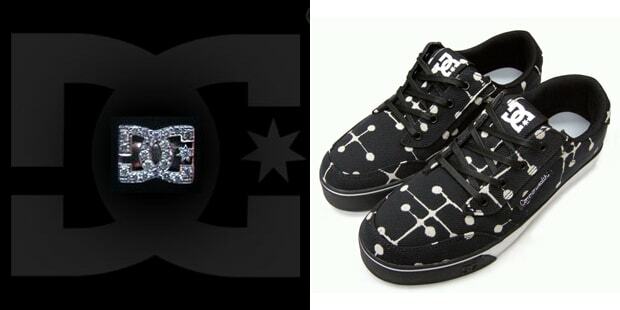 DC made it's mark with fat shoes in the ’90s, but became dominant culturally in the 2000s starting with "The DC Video" and continuing on to artists projects, bike re-issues and crazy antics by DC pros Danny Way and Rob Dyrdek. DC entered the snowboard boot market in the early 2000s and recently introduced snowboards to the market. DC founder Damon Way started as a pro skateboarder, but due to an injury, retired to the creative side in the early years of the company. He spearheaded early collaborations with Kaws and Shepard Fairey, before artist footwear was a trend.